A couple of days after Christmas we headed to the panhandle of Florida to get away, see some sights and attempt to find old man winter. I made reservations 2 months ago at the only state park I could find with a site available for multiple consecutive nights - Falling Waters State Park in Chipley, Florida a six hour drive away. We haven't camped in the panhandle area and figured this was as good a time as any for a longer excursion. 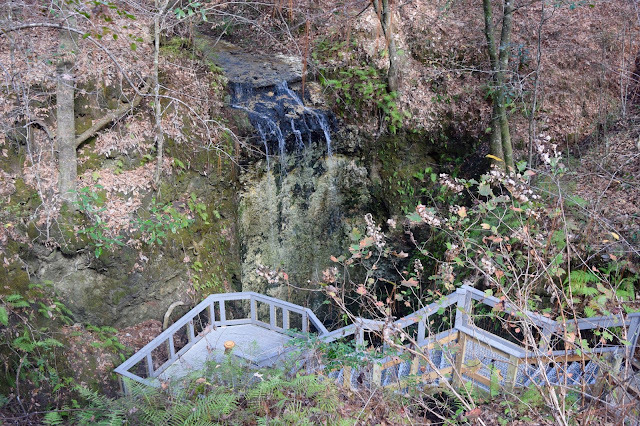 Falling Waters State Park is a compact gem of a park centered around the highest waterfall in the state. 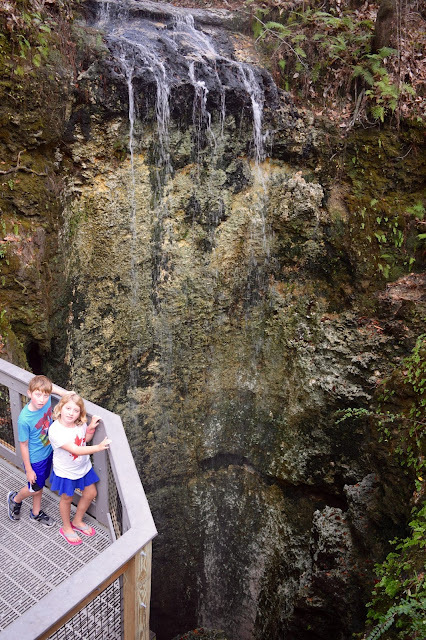 Florida is commonly considered an oddity among the 48 contiguous states - it quite literally sticks out. 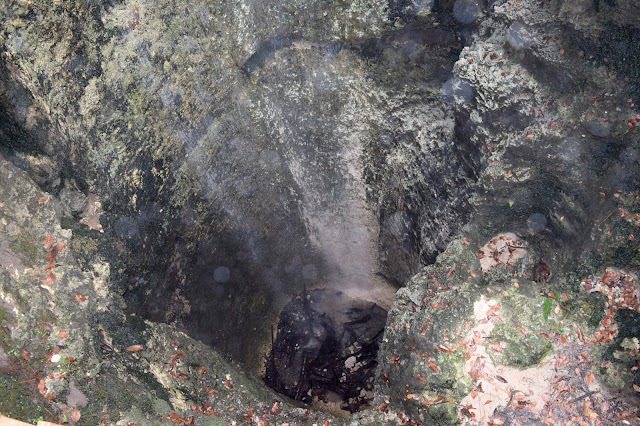 Consistent with this oddness, Florida'a highest waterfall doesn't drop into a river or stream but a sinkhole and not just any sinkhole but a 73 foot circular pit and then disappears underground. 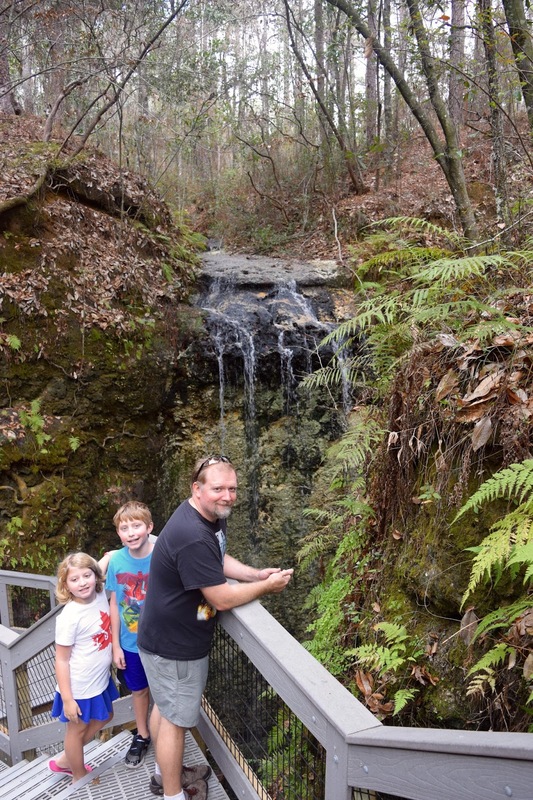 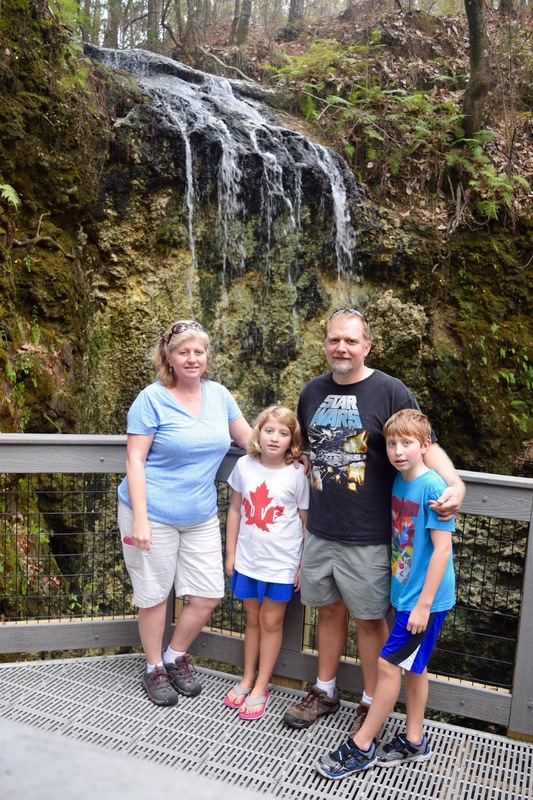 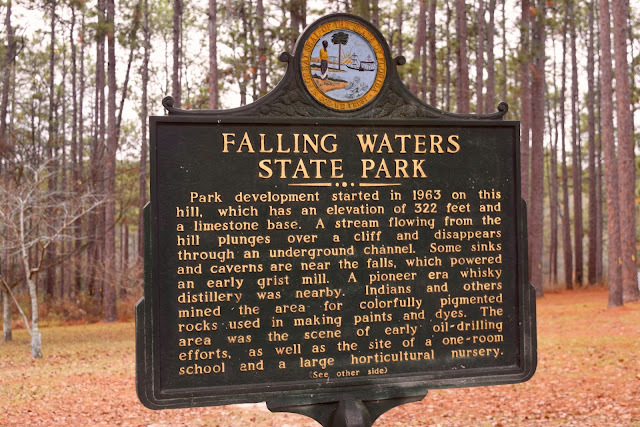 While not large, Falling Waters State Park is a quality destination perfectly adequate for an enjoyable family camping experience. 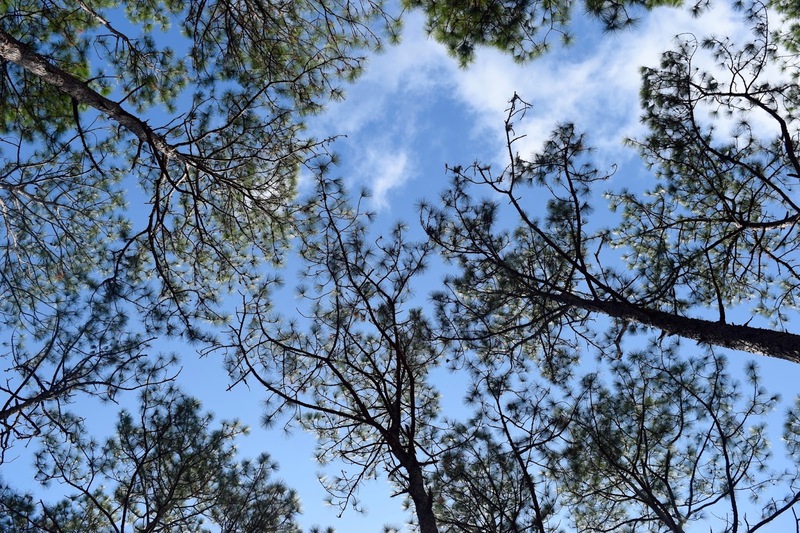 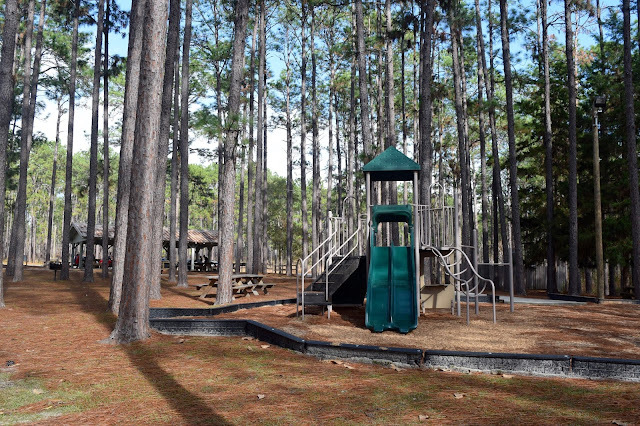 The park is fire managed with a good portion restored to a longleaf pine savannah. The campground feels a bit small with only 24 sites, but it is well cared for and the bathhouse feels new. 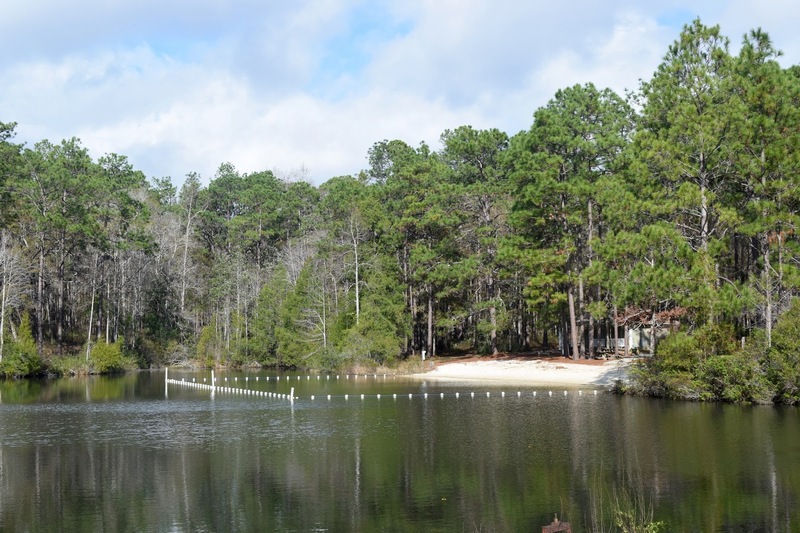 There is a small lake in the park that helps give a consistent water supply to the water fall while also providing a swimming and fishing area. 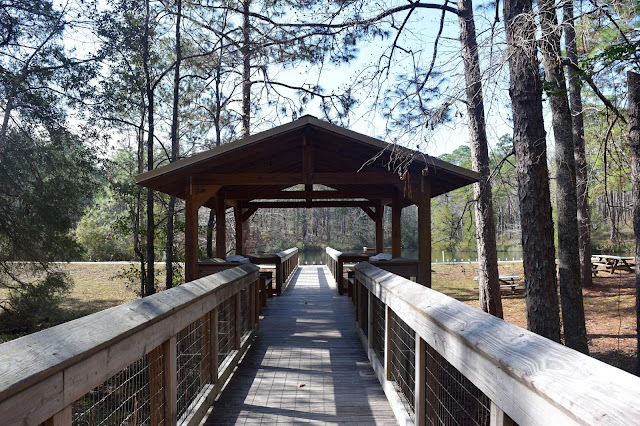 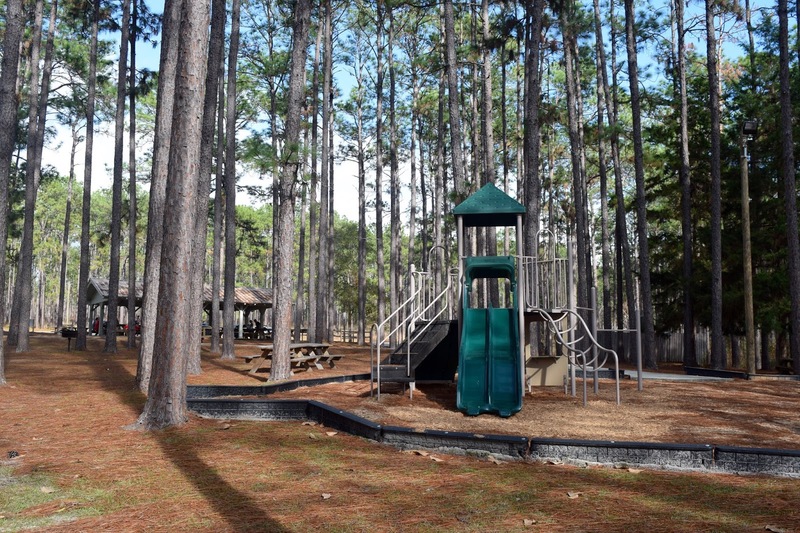 There are a couple of trails and boardwalks near the main attraction and the requisite picnic shelters and playground makes this a superb day-use area as well.